The exclusivity of the voice-over business has been one of the entertainment industry’s best-kept secrets. Traditionally a field dominated by white males, the voice-over world has for decades lacked diversity and inclusion for people of color. Husband and wife duo Rudy Gaskins and Joan Baker have been part of a movement to promote diversity through the Society of Voice Arts and Sciences (SOVAS), established in 2013. The SOVAS provides access and support to people interested in voice-over acting through education, training, and job opportunities. SOVAS is also the producer of the Voice Arts Awards, and That’s Voiceover!. The efforts of Gaskins and Baker have helped increase the value of voice arts, as well as the range of talent working today. Baker, one of the top female voice talents in the business, started her career in 1991. Gaskins is an Emmy Award-winning producer as well as chairman and CEO of SOVAS. 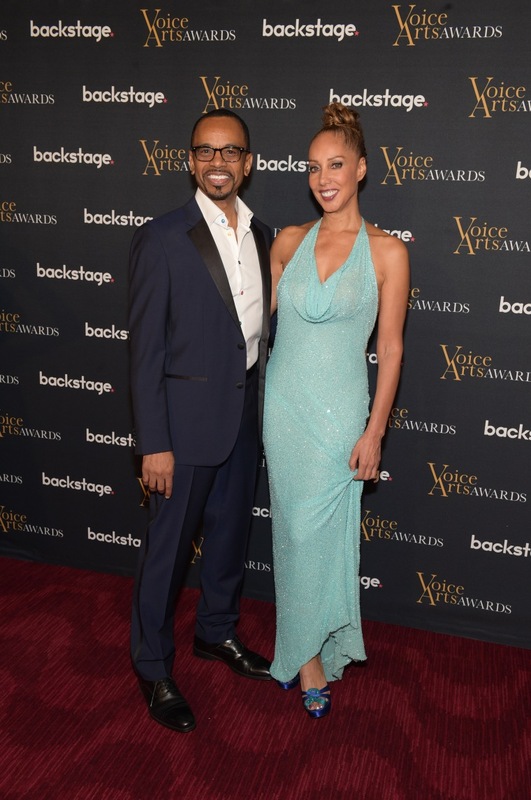 The 4th annual Voice Arts Awards ceremony, held earlier this month at the famed Appel Room at Jazz at Lincoln Center in New York City, is evidence of advances made in this mysterious industry. Multi-genre performer and activist Lily Tomlin, whose career spans more than five decades, was presented with the Voice Arts Icon Award by her good friend, two-time Emmy nominee and voice-over legend Bob Bergen. Acclaimed filmmaker Ken Burns received the Muhammad Ali Voice of Humanity Honor, presented by three-time Emmy Award winning voice-over actor Keith David. In 2013, David was the first recipient of a Voice Arts Award. Another winner was voice actor Jeff Wilburn, who received two awards for “Moonlight” and “NBA on TNT." Renowned voice actor Rodd Houston, promo voice for TV One who has voiced projects for companies such as Verizon and was “Bud” the talking frog in two of Budweiser’s memorable Frog ads, received one of the evening’s top honors for Outstanding Body of Work. The awards ceremony was the culmination of the two-day weekend, which included the annual That’s Voiceover! Career Expo, produced by Baker and Gaskins. Agents, voice actors, directors, and other industry insiders led interactive seminars on the various genres of the business. The sessions ranged from broadcast work in commercials to cartoons, as well as how to break into the industry and navigate a successful career. Nancy Cartwright, the voice of Bart Simpson on “The Simpsons," was presented with the 2017 Backstage Vanguard Award for Arts and Humanities. According to Gaskins, there has been a progressive increase of African-American and Latino entries each year from 25 to 33 percent. Over the years, African-Americans have become more involved in the voice-over arts. Black actors have not only used their voices to promote products and build brands globally, their voices have also raised social and historical consciousness. Celebrities such as James Earl Jones, Morgan Freeman, Keith David, and Nancy Giles are among voice acting trailblazers that have opened doors for a new generation of aspiring voice actors of color. Baker said it was the death of her father from Alzheimer’s disease that empowered her with purpose and encouraged her to pursue her goals. Since 2005, Baker has donated all the proceeds from her book "Secrets of Voice-Over Success” to the Alzheimer’s Association, which she has earmarked for a cure. Baker and Gaskins’ leadership and their desire to serve is a testimony to their gratitude and their work in the voice-over business have also kept them close. Noting that he and Baker celebrated nearly 20 years of marriage this year, Gaskins said it’s an “unimaginable bliss” to share a life mission with someone he loves. CORRECTION (Nov. 22, 2017 11:10 a.m.): An earlier version of this article stated misstated Bob Bergen's award citations. He is a two-time nominee for an Emmy award; he has not won two Emmys.